Jump to video Midterms a referendum on Obama’s agenda? 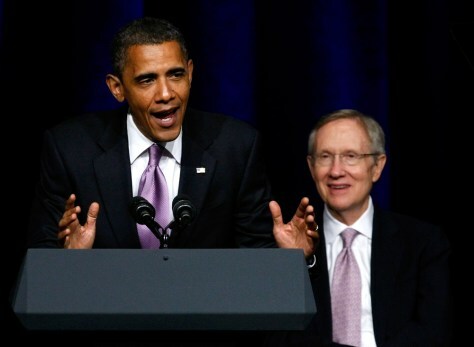 President Obama rallies supporters of Senate Majority Leader Harry Reid last week in Las Vegas. Reid, facing re-election this fall, has piloted Obama's agenda through the Senate.